It’s the 21st century, but that doesn’t mean we only cherish things that are all squeaky clean, shiny and new. 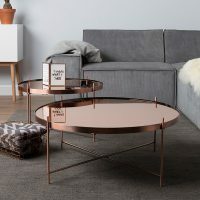 Trendsetting is cyclic, it circles back on itself in perpetual motion and the one and only trend that never fails to impress and excite is the one known here amongst us converts and believers as the Retro Furnishing Style. Its back – hopefully to stay this time! 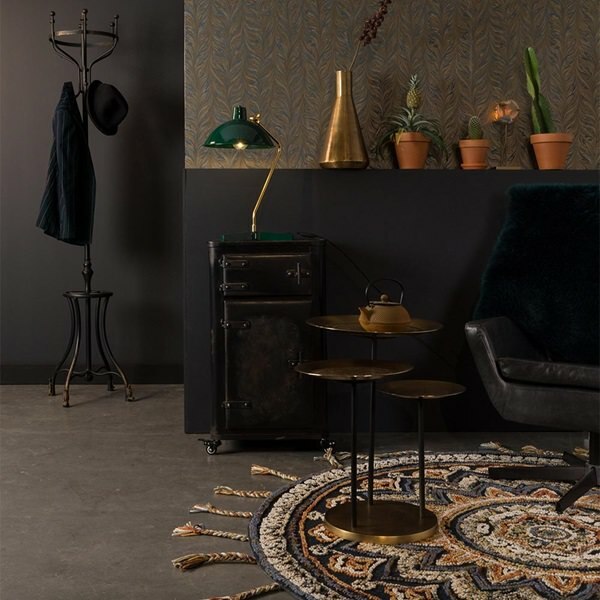 Its loved not just by the buyers here at Cuckooland but by interior designers and décor enthusiasts the world over who take the time to inject old tastes into fresh new interiors. 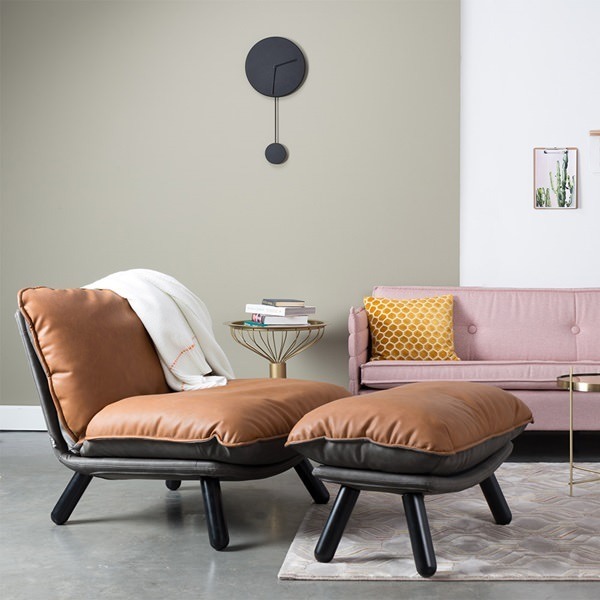 Our Retro Collection of chic, curious throwback furniture are melded with up-to-date features, designed to add a sense of place, purpose and perspective to the modern family home. 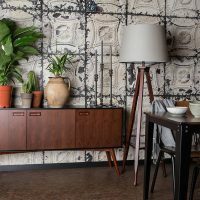 Take a gander below, our retro collection is here to whisk you back to an era of pure style, substance and nostalgic goodness. When we think of the past, what do we imagine? It could be a scene plucked straight from a sepia toned polaroid: A beautiful bronze glaze, stirring up the dusty memories of our treasured past. 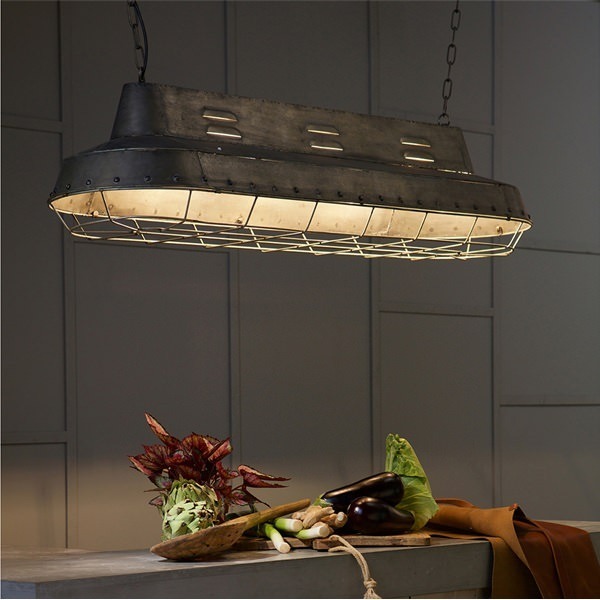 Our lighting items put you right in the thick of that feeling, sparking the retro aesthetic to life. 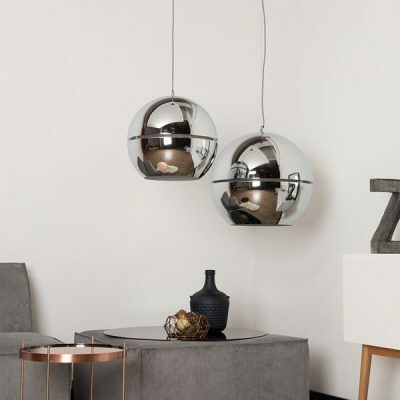 We’re massively proud of our pendant ceiling lights, which drip down on a delicately thin cable to hover over your rugs, tables and textured sofas. Like a warm welcome home from the past, you’ll never want to leave a room full of classic emblems of cool. 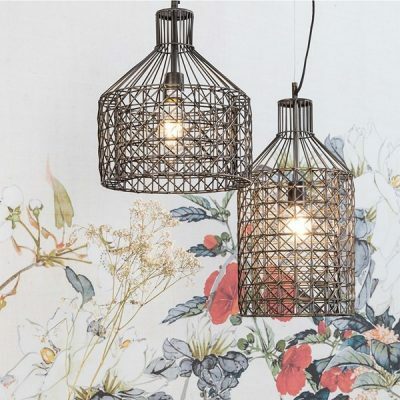 You and your guests can recapture that awe again with these lighting fixtures, nailing the linchpin for design choices to follow. When paying homage to the past, it’s crucial to sort out where you’ll sit, glass of whiskey in hand, as your time capsule interior shuts the rest of the world away. 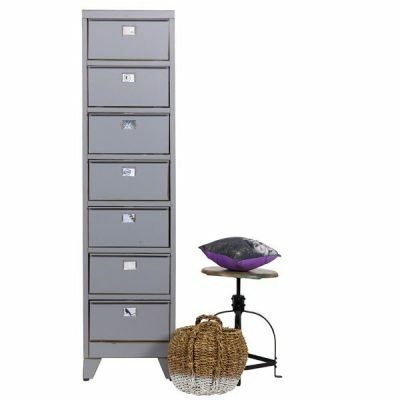 Cuckooland’s vintage furniture can help place those retrogressive tones firmly into your home. 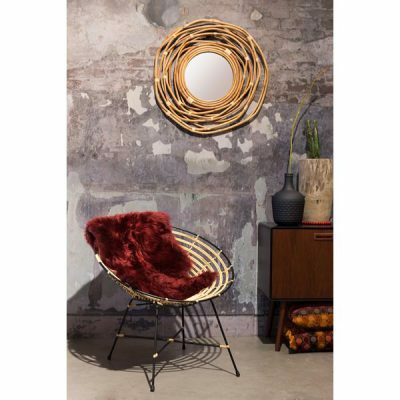 A Kubu Rattan Armchair could be your go-to happy place for a relaxing afternoon. 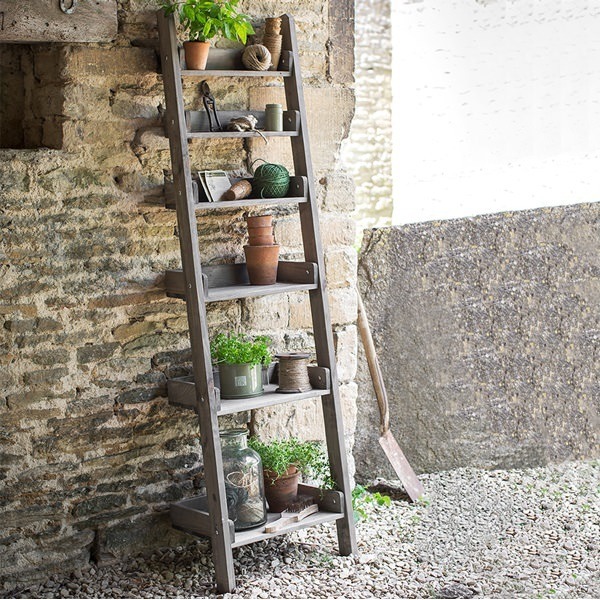 Made from one of the oldest manufacturing materials that’s still in use, this classic focal piece is an authentic addition to any home. 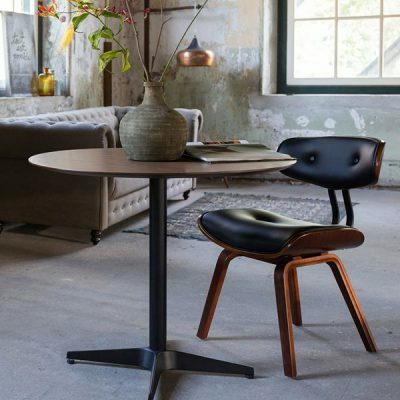 Offset it with a Blackwood Lounge & Desk Chair to recreate the lounge look of a 1950’s socialite. One of the pleasures of a retro feel, though, is getting others to share it with you. Aside from a practical complement, like a Retro Oak TV Stand for chilled nights with friends and popcorn, it’s worth investing in a Class Dining Table, decked out in the Herringbone pattern to refract any light that hits it from above. When sharing those old-school persuasions with friends music will aways be at the forefront, especially for those that crave the hiss and scratch of a vinyl needle. Listening to classic albums with your nearest and dearest is something that no one should do without, and Cuckooland has some top-notch accompaniments to your entertainment plans. Try out a Bermuda Record Table to amp up the retro vibes. It stands at an impressive height, swinging around to a 60’s atmosphere when you assemble it from a basic box form. It gives you a ticket to ride out singalongs and twisty dance moves on your vintage carpet. With the ability to digitise records for mp3 transfers, you’ll have an all-in-one soundtrack that doesn’t let the party stop, whatever room it’s held in. 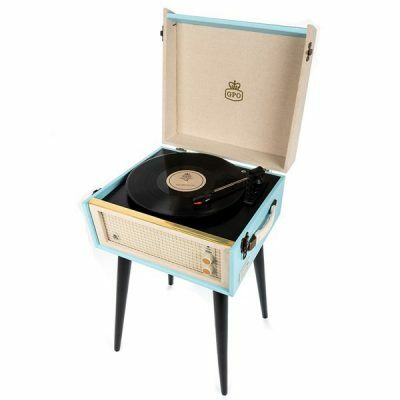 View our range of retro record players here. 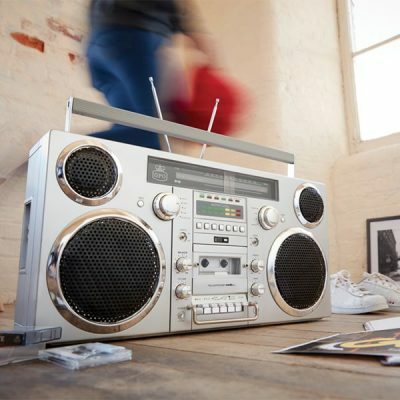 A real music lover can get even more out of GPO Brooklyn Boom Box. With an iconic look and modern adaptability, there’s no shortage of reminders for how awesome a classic music catalogue can be. The vintage-obsessed shopper knows that mixing things up is a joy to savour, especially when we cherry-pick delights from across the decades. However, a home should still be as neat as we can make it, if only to wrestle a sense of order into place. When your storage solutions are lacking, our furniture adds method to the retro madness. By now, you’re probably eager to get these pieces, and more, into the heart of your domestic dreams. Cuckooland is right here to help those retro preferences fuse as a single, disarming framework of style. 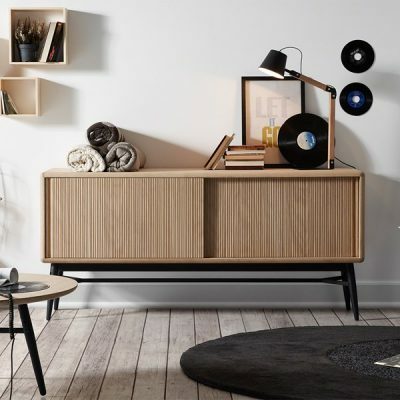 Our full collection is primed to meet your need for furniture that only gets better with age; you can call us on +44 (0) 1305 231231 or email customerservice@cuckooland.com to pick our brains on the worthiest retro kit, and what peace it can bring in a world that’s moving at a breakneck pace. WIN Your Favourite Zuiver Product!